The Metfriendly Lifetime ISA (LISA) is designed to do one of two things – help you buy your first home, or supplement your retirement pot. You can save up to £4,000 a year tax-free to which the government will add an impressive 25% (that’s up to £1,000 p.a.!) and Metfriendly also adds annual bonuses and a final bonus. It’s important to remember however, that although the government bonus is added as you save, you will only actually keep it if you are a first time home buyer and use your LISA savings on a ‘qualifying property purchase’ (see FAQs) or don’t withdraw any of your savings until you are 60.
the government will add 25% on top of your savings – that’s up to £1,000 each year! Please note, if you seek to withdraw funds from a Lifetime ISA for anything other than a qualifying house purchase (or before the age of 60, if you’re saving towards retirement) significant government penalties apply, and you may get less back than you have put in. Metfriendly reserves the right to also apply a Market Value Reduction (MVR) so that the value when you cash in more fairly reflects our performance over the period of investment. What returns might I expect from this plan? 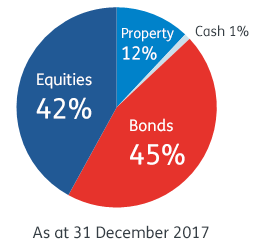 A 2% annual bonus rate applies only for amounts invested in 2019/20. The annual bonus rate (and final bonus rate) applying to amounts remaining invested after the guarantee period will be the same as the bonus rates for our Lump Sum ISA which you can view here. You can also see the past performance of our Lump Sum ISA here. What happens if I surrender my LISA for something other than property or before I am 60? Firstly, remember that if you surrender your LISA before your 60th birthday and DO NOT use the funds for a qualifying property purchase, there will be a 25% HMRC charge on the amount surrendered. This will not only claim back the government bonus but will also apply a penalty to the remaining amount. Our charge will be 5%. Our charge will be 3%. There will be no charges by Metfriendly. Are there redemption charges if I cash in my LISA for a qualifying property purchase or after I turn 60? Assuming that the withdrawal is for a qualifying property purchase (same principle if withdrawing aged 60+), there will be a 2% redemption charge on any funds withdrawn during the tax year that they were invested. In June 2019, Joe finds his dream property and is ready to buy his first house. He would like to withdraw the funds for a qualifying property purchase. Because Joe has made contributions into the LISA in the same tax year he is withdrawing for a qualifying property purchase, a small charge of 2% on the current tax year of investment will be applied. What is a 'qualifying property purchase'? To avoid the 25% government charge on your LISA withdrawals they must be used for a ‘qualifying property purchase‘. NB. You may buy a property jointly with a partner, however they will only be able to use LISA savings if it is also their first house purchase. Your money is invested in a balanced mixture of equities, bonds, cash and property by the investment experts at Metfriendly. So you have the potential for a higher level of return than cash, but with lower risk than investing entirely in stocks and shares. The example in the diagram shows the approximate “mix” as at 31 December 2017. For more information on how the with-profits fund works, please refer to How we manage the with-profits fund. What are the rules on ISA transfers into my Lifetime ISA? In general, you can transfer money from different types of ISAs to your Lifetime ISA, however the rules vary depending on the type. You can transfer any amount up to £4,000 from any other “Cash” or “Stocks and Shares” or “Innovative Finance” ISA into a LISA. Any amount transferred will count against the LISA limit and will receive the Government bonus. Current year subscriptions transferred-in will continue to count against the overall annual ISA limit, but previous year subscriptions will not. Only £4,000 can be transferred (or lesser amount if you have already made current year contributions into the LISA) and will attract the full Government bonus unless the transfer is from another LISA. Therefore if you want to transfer more than £4000 from another ISA and receive the government bonus on the full amount, it would be necessary to transfer the extra amount(s) in subsequent tax year(s) until you have transferred the total value. You can transfer any amount without upper limit between LISAs. In respect of current year contributions, the Government bonus will be applied either by the original LISA manager or by the new one (not both!). The amount of your current year LISA contributions continues to apply against your LISA limit and your overall ISA limit. You can transfer up to £4,000 from a ‘Help to Buy’ Cash ISA into a LISA. Investors who are eligible to open a Lifetime ISA may make a transfer of funds from the Help to Buy ISA into a Lifetime ISA, this amount counting towards the Lifetime ISA payment limit, and the government bonus will be added on top. The table below sets out all the rules, but should you have any questions about transferring don’t hesitate to call our office on 01689 891454. Does it count towards annual ISA subscription limit if paid to LISA? Does it count towards LISA payment limit (is it a current year payment)? Can it earn a Government bonus (is it a qualifying addition)? Is payment disregarded for the ‘one LISA per tax year’ rule? When you open a LISA account with us we will send you a certificate showing your benefits and a cancellation notice. If you change your mind, you can return the notice within 30 days for a full refund. We do not make any form of commission or incentive payments.